Are you the type of person that savors your shower time? I am! That’s my time of peace and relaxation, a great way for me to unwind at the end of the day. It’s funny how that works, even when you’re a grown up. I remember my babies would always have an easier time sleeping they’d worn themselves out during bath time. That doesn’t only work for toddlers either! Suave has some awesome products that make it fun for older kids too! My Son Andrew loves the Suave Kids® Disney Star Wars™ collection! He’s been using the Suave Kids Star Wars Galactic Fresh & Hyperspace Apple 3-in-1 Shampoo, Conditioner, Body Wash. If you have boys you know that being able to combine all of these products into one is a lifesaver because extra steps usually lead to shortcuts. 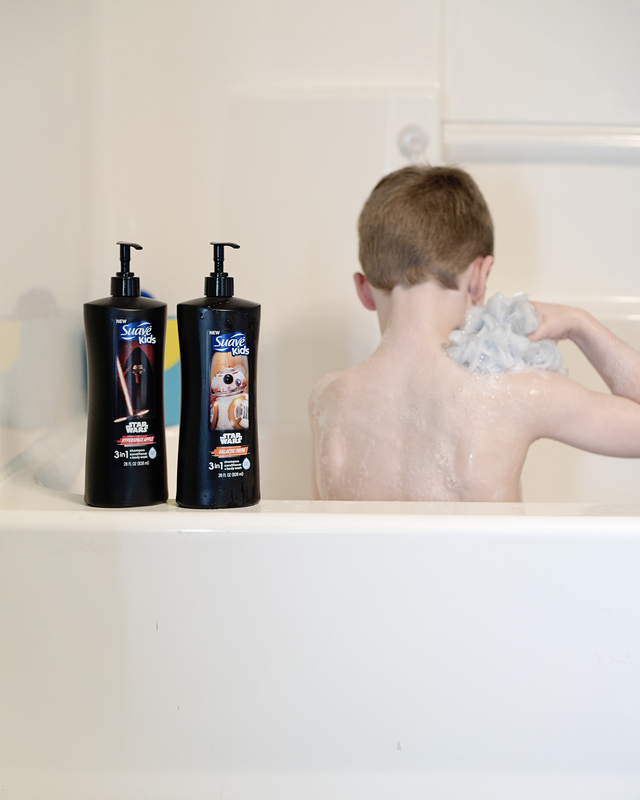 With the Suave Kids® Disney his hair is clean and skin left feeling soft and smooth – all in one simple step. The NEW Disney Star Wars™ Stormtrooper Styling Gel in Tropical Storm is one of his favorites too. 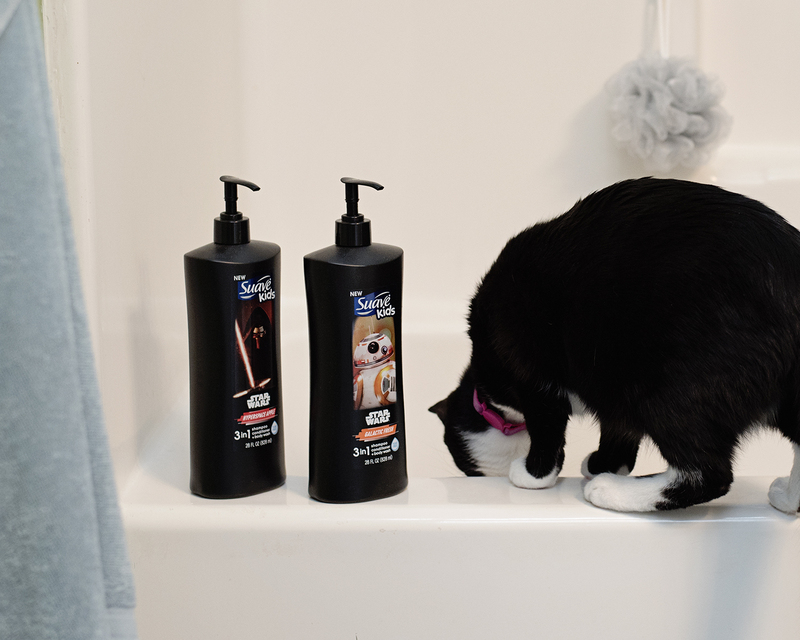 It makes it super easy to tame his hair, or style it like he likes… and the cool ocean scent smells great! 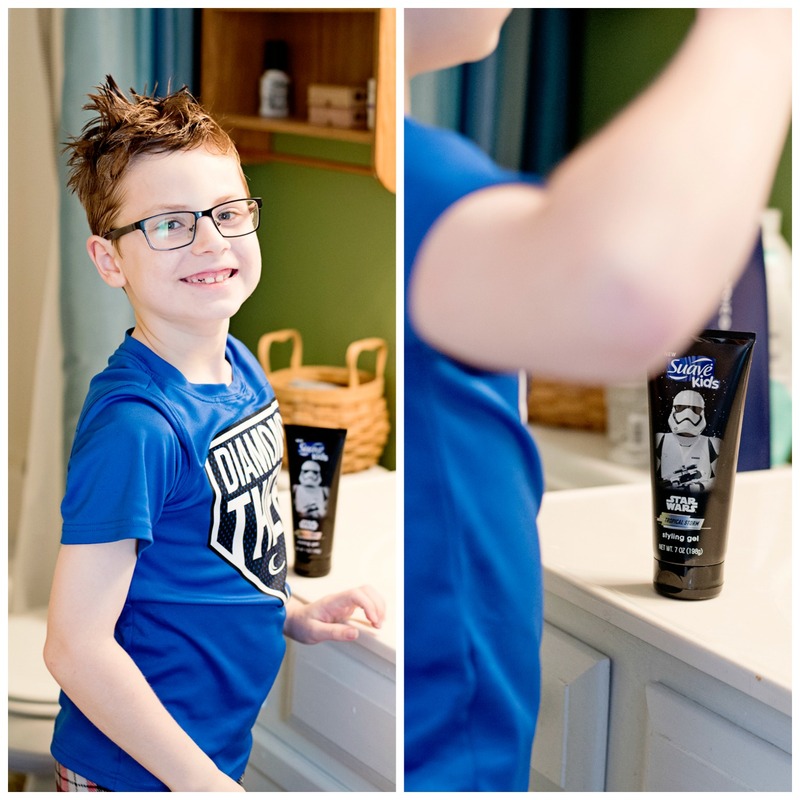 Suave Kids® offers head-to-toe gentle products that are specially formulated for kids, so I don’t ever have to worry about them being too harsh for my kids. In addition to having Suave Kids products on hand, we’ve managed to find other ways in our home to make bath time fun too! Bubbles: Bubbles in the bathtub is fun for all ages, including my big guy. You can blow the bubbles and fly them in the air, you can cover all your toys and play hide and seek in the tub. Bathtub Paint: Make your own bathtub paint with some shaving cream and food coloring. Let their imaginations go wild. Water Strainer: There’s something soothing about watching water run through the holes of a water strainer. My kids will do this forever if I would let them. 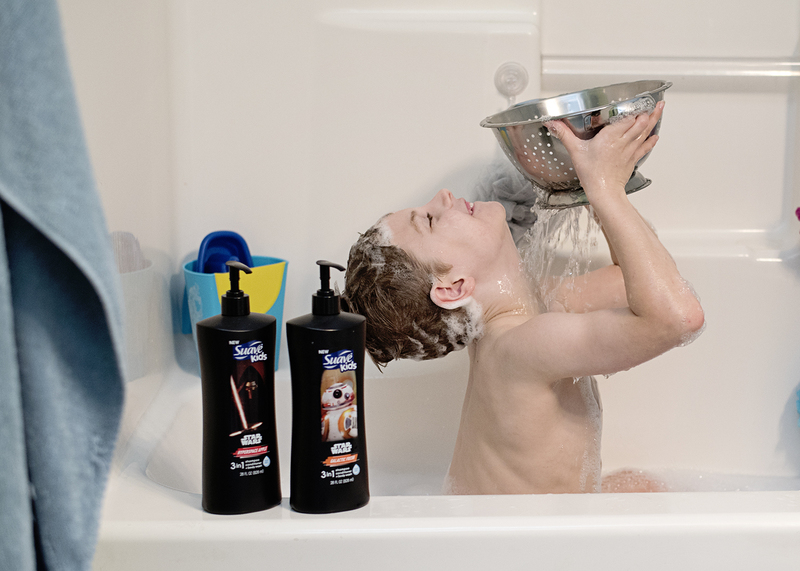 An important thing to remember about Suave® products is that they aren’t just perfect for kids either! They offer quality beauty and grooming solutions for the entire family to help you look good, smell good and feel good every day. What are your favorite ways to make bath time fun in your home? Drop a comment below!